This project was coordinated by Landscape Australia and was the first large job for MULTI-POWER. A superb refurbishment of the Alfresco Courtyard changed the face of the iconic TRADEWINDS HOTEL on the Swan River in Fremantle. "We would like to thank the team at MULTI-POWER for their diligent work completing the refurbishment of the Alfresco Courtyard. MULTI-POWER was exceptional in delivering the project well in advance of the firm time frame, within budget and by exceeding our expectations in the quality of the commissioned work." 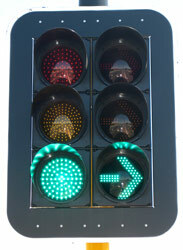 MULTI-POWER was fortunate to be involved in a large rollout to upgrade all Traffic Controllers in Western Australia. MULTI-POWER completed in excess of 400 ADSL installs predominantly in the Northern Suburbs and Northern and Eastern towns, such as, Geraldton and Northam. "In 2009, Multi-Power carried out the upgrade of the communications system to 50% of the signalised intersections in Western Australia from dedicated lines to ADSL. The upgrade consisted in the installation, testing and commissioning of the new communications system and its integration in the upgraded MRWA signals' coordination and monitoring system. The project was on a tight schedule; MULTI-POWER staff carried out their task professionally and diligently, the project was delivered ahead of schedule with 100% success." MULTI-POWER successfully completed the restoration of the almost completely destroyed Byford Tavern Complex in 2010-11. "MULTI-POWER proved to be an exceptional partner in this rebuild, providing outstanding service and understanding, even though at times the requirements and demands of both the architects and designers were at odds with the electrical requirements. The rebuild of the BYFORD TAVERN COMPLEX was originally given a 12-18 month time frame, with the invaluable assistance of MULTI-POWER, MIDCITY were able to bring the project to completion within 6 months. I would personally like to thanks MULTI-POWER for the outstanding effort that completed the major part of this $2.7m project." The March 2010 hailstorm smashed Perth's Western Suburbs and surrounding areas. MULTI-POWER were part of 12 months of intense rectification works and along the way improved internal management systems to cope with over massive amount of insurance jobs. "During these extremely busy times over the last year it was vitally important to have a team of dedicated trades working together with us to complete repairs to clients' homes with little delay and total professionalism. Troy and his staff from MULTI-POWER played an important role in working through the vast amount of jobs that required electrical repairs. We have a strong working relationship with Troy and thank him for his efforts during the past year and look forward to continuing to strengthen the alliance between MIDCITY GROUP and MULTI-POWER Electrical Services into the future."